Eneclann > Newsletters > 18th of January 2015, Latest Eneclann Newsletter. Eneclann feature’s in today’s,Sunday Independent with an article on Hollywood star George Clooney and his Irish Roots, The article gathers information from research discovered by Eneclann’s very own Expert researcher Fiona Fitzsimons, You can also read the full story on his Kilkenny homestead in,Irish Lives Remembered, Read all you,need to know here. 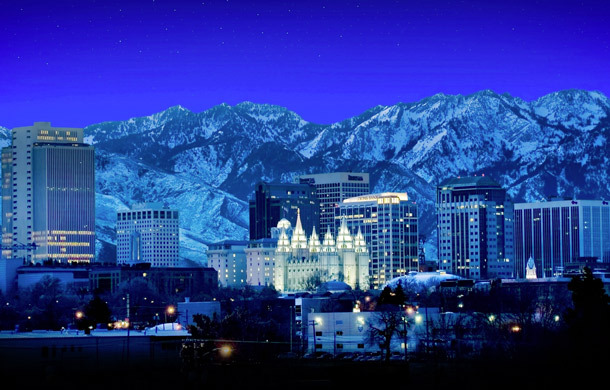 Earlier this month Fiona visited Salt Lake City, Utah for work. She was there to attend a board meeting of the Association of Professional Genealogists (APG), and stayed on for the APG’s annual Professional Management Conference. Read how Fiona got on here. The British Institute has invited Eneclann’s own Fiona Fitzsimons to teach the Irish Track in its’ prestigious course, next September in Salt Lake City, Utah. In the recent edition of British Connections magazine, Fiona wrote about what she hoped to impart to all those signing up to her course. “My main goal will be to help my students to “navigate” the tumult of Irish history” Read the full article . 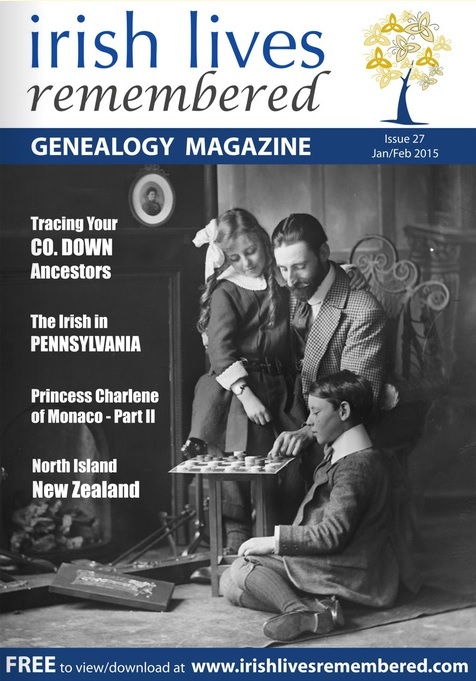 The January/February edition of ,Irish Lives Remembered Genealogy e-Magazine is now out, There’s some fabulous feature articles in this latest issue, but we’re most interested in the story of Princess Charlene of Monaco’s Irish roots. Princess Charlene has an intriguing connection to the English Queen Elizabeth II. Go to page 26 and,read this wonderful story. 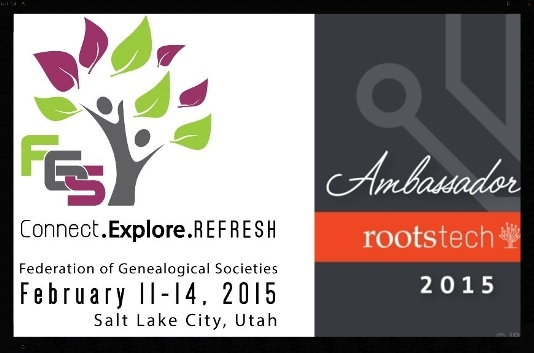 Eneclann are heading to,RootsTech 2015 conference, The Federation of Genealogical Societies (FGS) will also hold its 2015 National Conference in conjunction with,RootsTech in Salt Lake City, Utah, February 12-14, 2015,Read all about it here. Eneclann and,Heirsireland, Ireland’s two leading probate genealogy firms, have combined to provide a comprehensive genealogical service to the Irish legal profession. 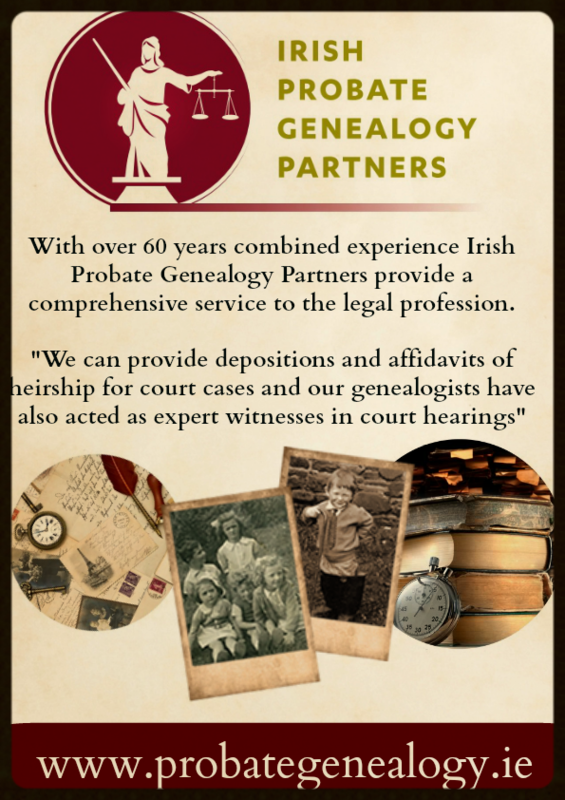 With over 60 years combined experience on legal, title and probate research, which includes: Completing research, Identifying rightful heirs, Preparing required documentation and more,Read about The Irish Probate Genealogy Partners services here. 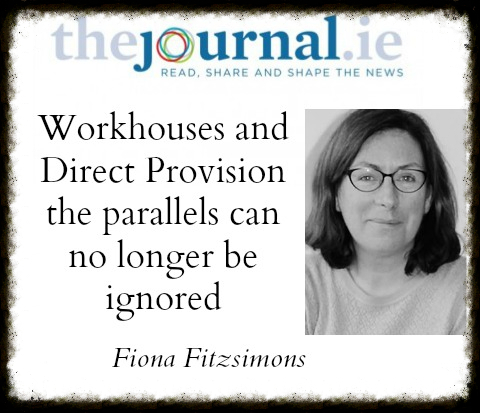 Eneclann’s own Fiona Fitzsimons recently published an article in the online magazine The Journal, in which she compared the hated workhouse system in the 19th Century and the current system of Direct Provision in today’s Ireland. The article developed out of the Expert Workshop series held last year. Fiona drew on the research of Dr. Gerard Moran, who gave the September workshop in the National Library (2014),Read the full story here,and tell us what do you think ? 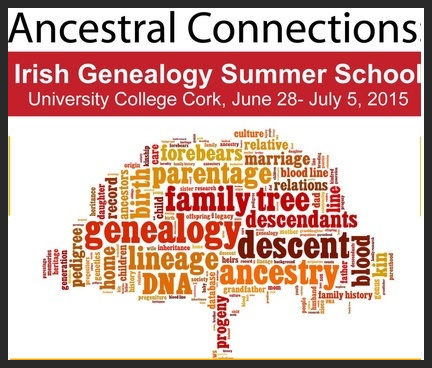 The UCC Genealogy Summer School is back in 2015. The School will include some of the leading experts working in their field, and will include over 42 lectures, field-trips, and other optional visits,Read all about it here. 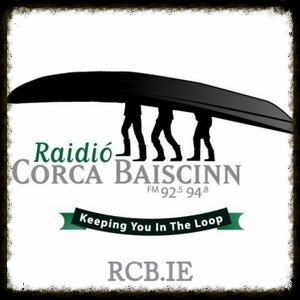 Tune in to the most recent episode of Lorna Moloney’s “The Genealogy Radio Show”, broadcast on Community Radio Corca Baiscinn. Listen here to Episode 16: ‘Nicholas Rynne – Michael McTeigue, Champion of the world from Kilnamona. 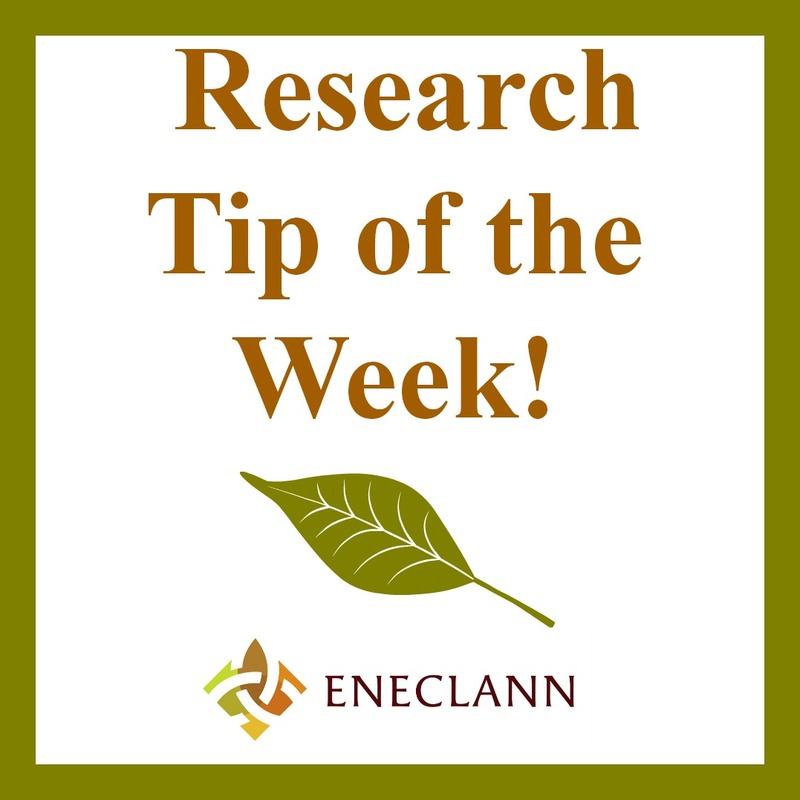 This week our research-tip is written by Carmel Gilbride, who ponders on the use of,‘negative findings’ in research. This entry was posted in Newsletters and tagged British connections., Eneclann, Eneclann newsletter, Fiona Fitzsimons, genealogy newsletter, Genealogy radio show, genealogy tip, geneaolgy summer school, George Clooney, Irish ancestry news, Irish lives remembered, Irish probate genealogy partners, Irish Roots, Princess Charlene, research tip., RootsTech 2015, saltlake city, Workhouses and Direct Provision.